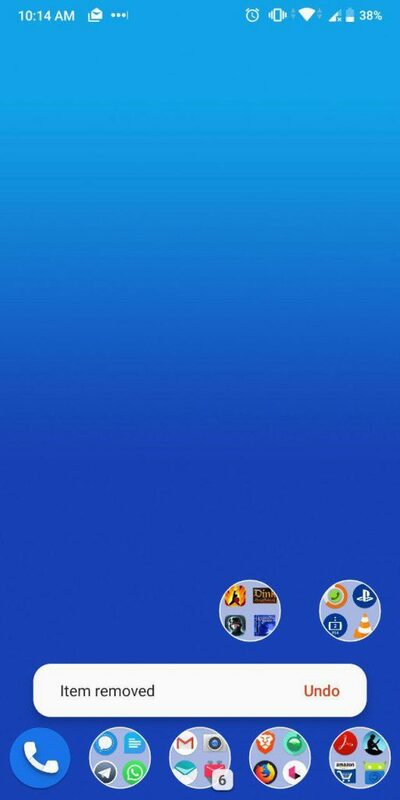 The Nova Launcher 6.1 update has been released to the stable channel, and it brings 3 new features to the popular homescreen app. The features had been tested in the beta program for quite a while, before making the transition to the regular version. The Undo Bar option is available in the Look & Feel section of the app’s settings, displays an undo option on the homescreen for a few seconds, after you delete a shortcut, a folder or a widget. Remember when Nova Launcher added unread badge counts with the Tesla Unread add-on? It has now been superseded by Numeric Dots. This however, isn’t an add-on. 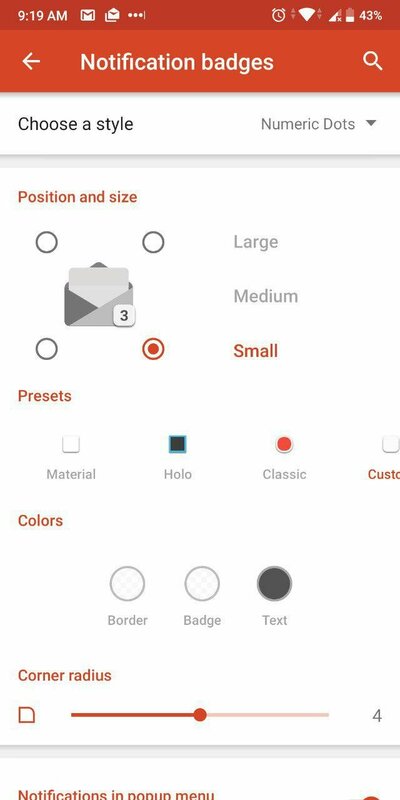 It is a built-in feature of the app. 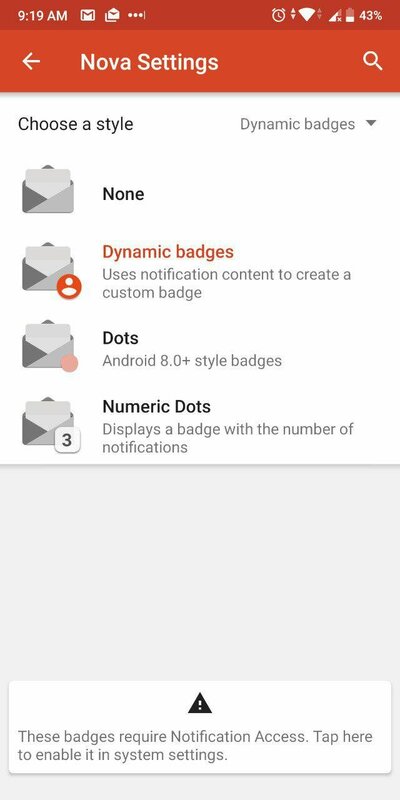 You can access the option from the Notification Badges section in the main screen of the app’s settings. 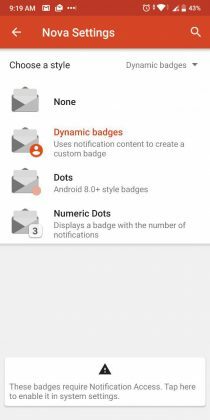 Numeric Dots uses Dymanic Badges which were introduced in Android Oreo, and relies on the notification shade to reflect the number of unread notifications per app. So, if you swipe the notification away the Numeric Dots disappear too.That’s kind of disappointing, but it is a limitation of Android itself and not the app. 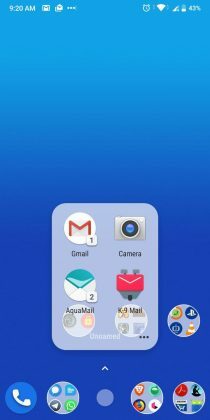 You will need Nova Launcher Prime to use the feature. Also, Tesla Unread is no longer available from the Google Play Store, but you can still download it from Teslacoil’s official website. 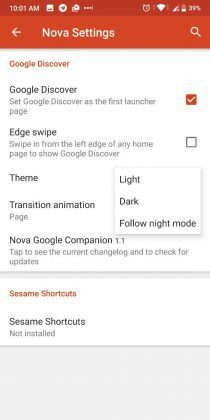 Nova Launcher 6.1 adds support for a Dark theme for Google Now. 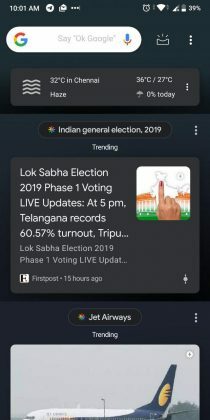 So, when you enable it and swipe left to view the Google Now cards, you will get the dark mode. 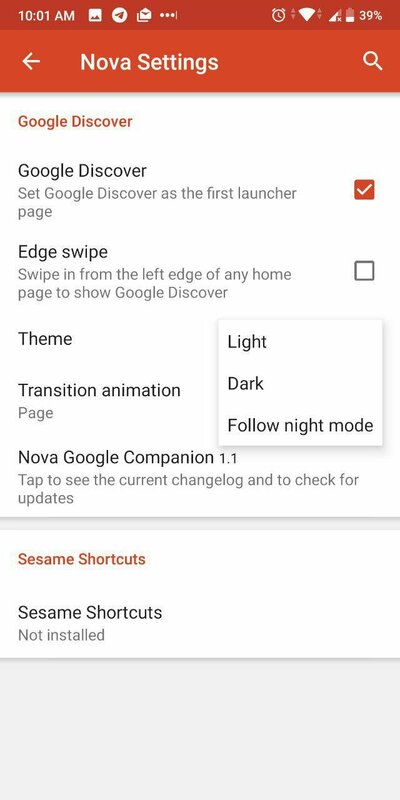 You can choose from 3 theme options: Light, Dark, and Follow Night mode. If you don’t see the option, you will need to use the Nova Google Companion app, which is available from Teslacoil’s website. If you have a phone with a notch display, you can view the wallpaper in the notch area (the sides) if you have enabled the Transparent Notification Bar setting in the launcher. 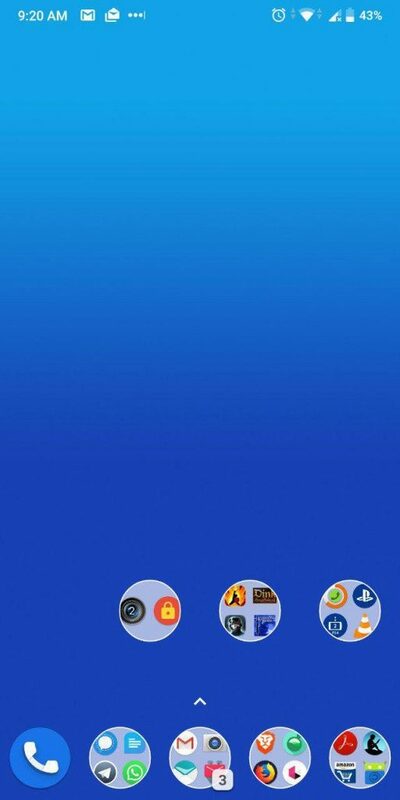 You can download Nova Launcher 6.1 from the Google Play Store listing.